It seems quite natural that our our cognitive states are caused by objects and people around us. But how are they caused? What kind of causality is at stake? And how is this type of causality related to other types? Early modern philosophers gave different answers to these questions, rejecting traditional Aristotelian answers and creating new ones. 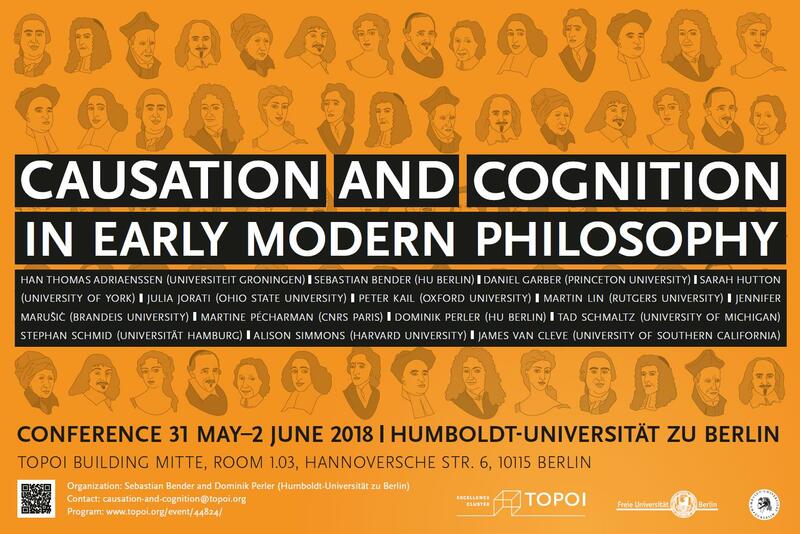 The conference examines their answers and pays particular attention to the way they integrated their accounts of causation and cognition into all-embracing metaphysical models. It focuses on a large number of authors, ranging from Suárez to Reid, and looks both at classical thinkers (e.g. Descartes, Leibniz, Hume) and at neglected philosophers (e.g. Cavendish, Sergeant). It analyzes their background theories about the relationship between mind, matter and God, thus building a bridge from philosophy to early modern science and theology.